This past weekend, Boeing unveiled a Seattle Seahawks-themed 747-8 freighter out of the paint hangar at Everett’s Paine Field. As we gear up for another NFL season, Boeing saw it fit to give the “12th Man” of Seattle a Jumbo Jet dedicated to their incredible fandom. 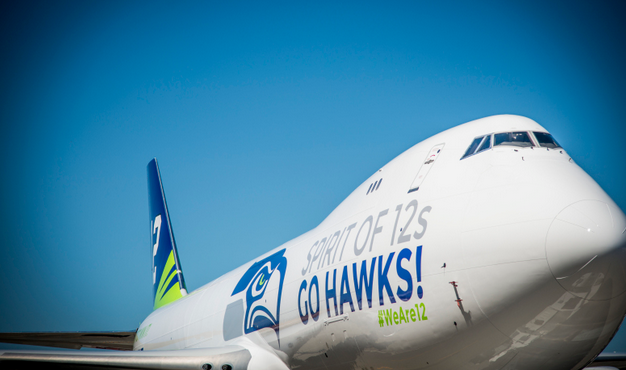 The new Seahawks 747 will perform scheduled flyover of Lake Washington during the Boeing Seafair Air Show on Aug. 2. It will also be involved in numerous Seahawks-related activities throughout the season according to Boeing.